Coolers and insulated bags can do a great job of keeping your brand in focus at outdoor events, beach parties, picnics, and camping sites. They can help keep drinks and food cool as well as fresh, even in the scorching heat of summer. 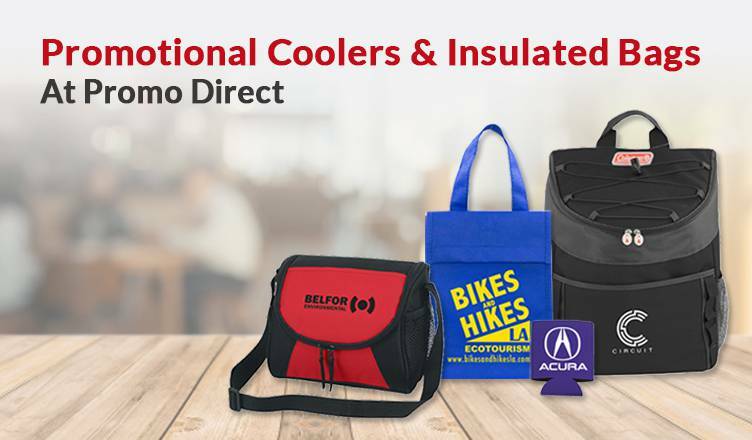 There is a variety of promotional cooler bags available at Promo Direct, each with unique capabilities to win your customer’s trust and goodwill. Not surprisingly, a lot of buyers get confused about the promotional insulated bags and coolers they should opt for. We regularly provide insights on helping them choose the right promotional items. We have made things easier for you by listing 4 useful tips to ensure that you make a wise decision while picking our coolers and insulated bags. Coolers are available in a variety of price points, all of them offering quality utility value and longevity. You could opt for really low-priced yet powerful marketing giveaways such as Budget Kooler Bag, Color Band Lunch Bag, and Value Priced Lightweight Lunch Tote. Or you could opt for premium coolers such as Arctic Zone® Deep Freeze® Titan 24 Can Cooler, 28-Can Coleman® Backpack Cooler, and Basecamp Ice Block 20L Cooler. So, first arrive at a budget and pick a cooler type that will find favor with your target audience! Are you planning to associate your brand with fun and outdoorsy vibes? If yes, then we recommend that you opt for coolers that can serve as the life of tailgating, BBQ or other fun outdoor parties. We recommend Deluxe Cooler Chair, Ice River Lite Rolling Cooler, and Adelene PEVA Lined Backpack Cooler. On the other hand, if you are looking to promote healthy eating, then we recommend opting for lunch bags such as All Time Lunch Cooler, Personal Lunch Bag, and Monterey Lunch Cooler Bag. There are plenty of more product options on our website. Browse through the coolers available and pick the right size! The cooler is likely to be made of a variety of materials, ranging from plastic to canvas. There will be varying imprint options to ensure your logo is highlighted well. Opt for a screen printing or a 4-color process if you need a vibrant logo. Opt for an engraved or embroidered imprint if you want your logo to have additional texture. So, go ahead and place your order for our range of coolers and insulated bags. Also, get in touch with us if you need any help with picking the right cooler. Ask us for small business tips and we’ll gladly be of help. Our marketing tips have helped companies leap through challenges and move towards greater business glory!